The Hill: Fox News host Jeanine Pirro was reportedly suspended by the network following comments she made earlier this month about Rep. Ilhan Omar’s (D-Minn.) loyalty to the Constitution. CNN reported the suspension on Sunday, citing an unidentified source familiar with the matter. 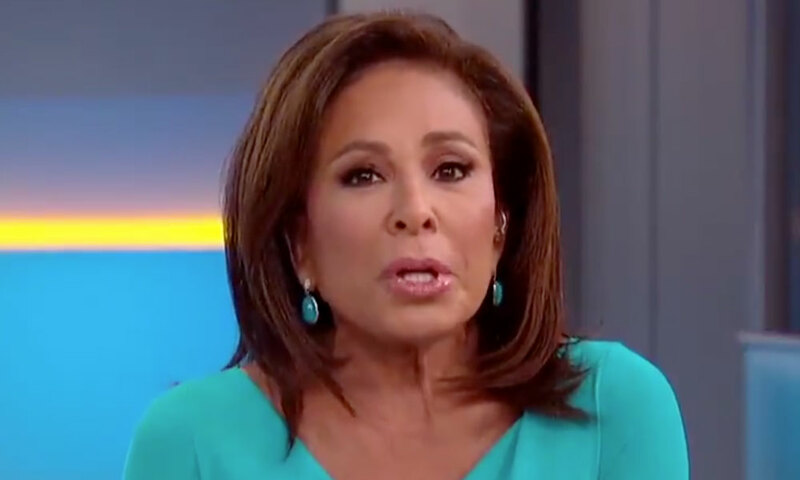 Pirro’s show, “Justice with Jeanine,” did not air Saturday evening during its regularly scheduled block and was replaced with an episode of “Scandalous.” Jeanine suggested during her March 9 show that Omar’s religious beliefs were at odds with the U.S. Constitution. Fox News condemned Jeanine’s comments, saying it had addressed the matter directly with the host. “We strongly condemn Jeanine Pirro’s comments about Rep. Ilhan Omar,” the network said in a statement last week. “They do not reflect those of the network and we have addressed the matter with her directly.” President Trump in a tweet Sunday called on Fox News to “bring back” Pirro, who is a supporter of the president. “Bring back @JudgeJeanine Pirro. The Radical Left Democrats, working closely with their beloved partner, the Fake News Media, is using every trick in the book to SILENCE a majority of our Country,” he wrote in the tweet. Bret Baire of Fox News was behind Judge Jeanine being suspended. Stop watching his show. Soon there will be no Fox News shows worth watching! Besides, I thought we had a right to say what we want. The Muslims in the government do. The TRUTH hurts. Fox needs to put Judge Jeanine Pirro back onto her Saturday time slot. Not only put her back but give her her own daily time slot with an apology. And speaking the truth at Fox, will get you screwed big time. Omar has stated her support for Isis in the past. The rag she wears on her head is a security risk. Does anybody check what she has hidden in it when she goes to work? These radicals are known to commit suicide aren’t they? Who’s to say she won’t hid a bomb in the rag one day. The goal of Islam, spelled out by the koran, is to overtake the entire world and convert or kill ALL non-muslims. The koran demands that muslims lie to gain the trust of non-muslims and insert themselves into every aspect of other countries so they can take over and establish an Islamic caliphate ruled only by sharia law all over the world. They will never assimilate and will always be a dangerous threat to freedom loving non-muslims. We MUST stop them !!! “If you want to know who controls you, look at who you are NOT allowed to criticize”. I believe Fox was WRONG on suspending Judge Jeanine Pirro. I she did was tell the truth & be able to state the thoughts most Americans are thinking & saying ourselves! 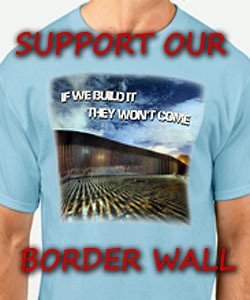 Why is it we are now unable to voice are American feelings without a repercussion BUT HATERED TOWARD OUR PRESIDENT CAN BE UPHELD & APPLAUDED by some DEMOCRATS!!! Such as remarks by a past Vice President Bideon “How he (Bideon) would like to beat the hell out of him ( President Trump)!! That is just pure hatered, total disrespect & annoucing an act of terror on our President! If it were any other Joe Schmoe, he would have been arrested for making threats againist our President!! Double Standard I would say! On the other hand, maybe they, thought it was a joke because everyone knows that Biden would probably be the one who would come out on the losing end just like he did in the Elections LOL!!!! The wet-behind-the-ears Liberal Twit IDIOTS at FNC seem to forget how many Americans were MURDERED by Muslims here and in other countries!!! Start with about 3,000 at the World trade center, The USS Cole in Syria (19), the Marine Barracks in Lebanon (almost 300), Fort Hood (15), San Bernardino (20+), and I could go on and on!!! My entire family has turned off the FNC as have many of my friends. We need a new Conservative Channel that is available on HD Air Antenna instead of Cable or Satellite. Our entire family and the majority of my friends (both Conservatives and Liberals) have dumped Satellite and Cable for Air Antenna…..